The hidden story of Britain's torture record has been told for the first time, a hand grenade into the heart of the establishment. 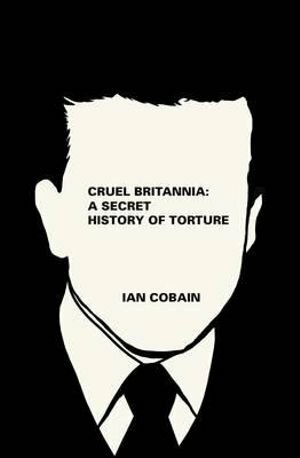 Cruel Britannia: a secret history of torture, Ian Cobain, Portobello Books. The ‘Establishment’ is shown to be remarkably adept at not establishing the truth using methods every bit as subtle as those developed by the interrogators in the 1950’s – 70. At the same time, the book reveals the courage of a few men and women who stand against torture. Men such as Colonel Arthur Young who repeatedly complained to Sir Evelyn Baring about the “unjustified or abhorrent crimes by British Forces” in Kenya but who resigned when he realised that Baring and others were not interested in his complaints. Or Lord Gardiner, who spelt out the legal position that the five techniques were a flagrant breach of International and domestic law but who was similarly ignored lest it get in the way of an interrogator’s war. At the same time, the few good men who do speak out know what fate will befall them. Craig Murray was drummed out of the Foreign Office for revealing Foreign Office connivance with torture evidence and Ben Griffin, the former SAS Trooper who spoke out against the UK treatment of prisoners in Afghanistan, is now living under a Government injunction which prevents him from speaking any further. If he breaks the terms of the injunction he will go to jail. In Cruel Britannia you can lose your job or go to jail for revealing UK complicity in torture and rendition. Those who are complicit meanwhile remain untouched and untroubled. The only tap on the shoulder is the sword used to knight them. And here lies the rub. As the weight of evidence mounts up, so the State becomes increasingly desperate to cover up. Miliband (D) pirouettes in the High Court, Straws denies any involvement in rendition before his assurances are contradicted by the discovery of documents in Tripoli. Then up pops the so called “Justice and Security Bill” - currently making its way through Parliament - in a desperate, blanket attempt to cover up all UK complicity in torture and rendition. However, the more attempts there are to cover it up the more the issue is exposed and it must be the supreme irony that as details of torture are finally being exposed from Kenya, the Government is embarking on yet another cover up. The Reverend Nicholas Mercer (formerly Lieutenant-Colonel Nicholas Mercer) was the Liberty Human Rights Lawyer of the Year 2011-2012 for integrity and courage in the face of dissembling and denial of human rights abuses by British forces in Iraq.